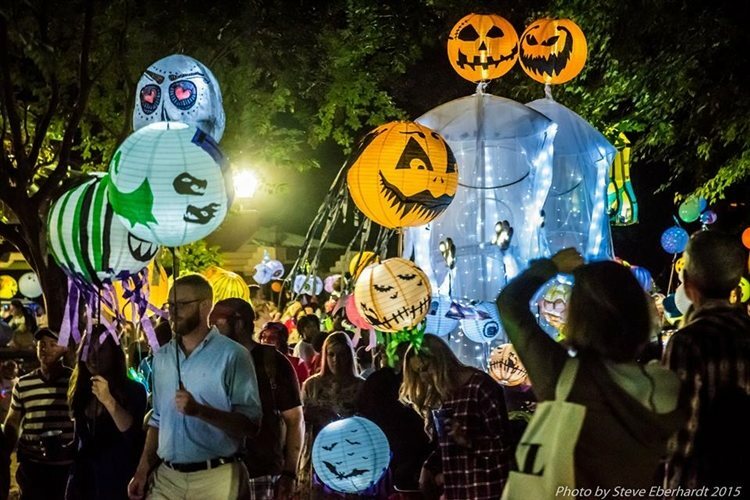 For the 8th year, the Grant Park Conservancy’s Halloween Lantern Parade is ready to welcome in Halloween! On Friday, October 26th, from 6pm – 10pm, all are invited to take part in this Halloween season tradition at Grant Park where you can make a lantern and walk the parade! Leading the parade around the park path is the Black Sheep Ensemble with the Krewe of the Grateful Gluttons giant puppets and goblins. The Wasted Potential Brass Band will bring up the rear. And DJ Tabone will be on hand to handle dancing after the parade. The Lantern Parade is a recipient of a community arts grant from the City of Atlanta's Office of Cultural Affairs. The Grant Park Conservancy is committed to the restoration, renovation, beautification and maintenance of historic Grant Park. Lantern kits are available at Adams Realtors and Dakota Blue for $20 (cash only) at 458 & 454 Cherokee Ave, respectively. On October 21, the lantern kits will also be available at the Grant Park Farmers Market. Become a supporter of the Grant Park Conservancy and get a free lantern kit! WHO: Everyone is invited so bring your creepy lantern and dress up in costume for a fun night of Halloween celebration! Food trucks and beverages will also be on the scene starting at 6pm with a parade step-off at 8pm. The Black Sheep Ensemble will lead the parade around the paths of Grant Park with the Krewe of the Grateful Gluttons giant puppets and goblins! Wasted Potential Brass Band will bring up the rear! The parade will loop back to Milledge Fountain where the bands come together for a magical crescendo! Stay after for DJ by DJ Tabone, food, drinks, and lantern fun, or until the goblins wear themselves out! WHERE: The route is different this year due to park construction. Click here for the parade route. WHY: It’s a collaborative community tradition and a fun way to celebrate Halloween! Let us know in the comments below if you'll be attending the Halloween Lantern Parade this year!